The Beni Suef Public Prosecution on Wednesday ordered the arrest of Ayman Tawfik, 28, who is accused of defaming Islam and the Prophet, and requested the Interior Ministry find out whether the blogger operates his Facebook page himself. The Prosecution also requested investigations into three reports of unknown people who have set fire to houses belonging to Coptic families in the village of Kafr Darwish. 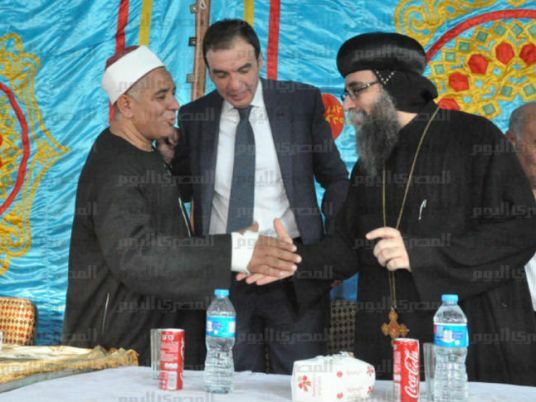 Sectarian strife erupted between Muslims and Copts in the village of Kafr Darwish in Beni Suef earlier this week, after the Coptic blogger allegedly insulted the Prophet Mohamed through a post on Facebook from Jordan.